The first Via Rail train to Churchill in 18 months arrives at the town's train station on Dec. 4, 2018. 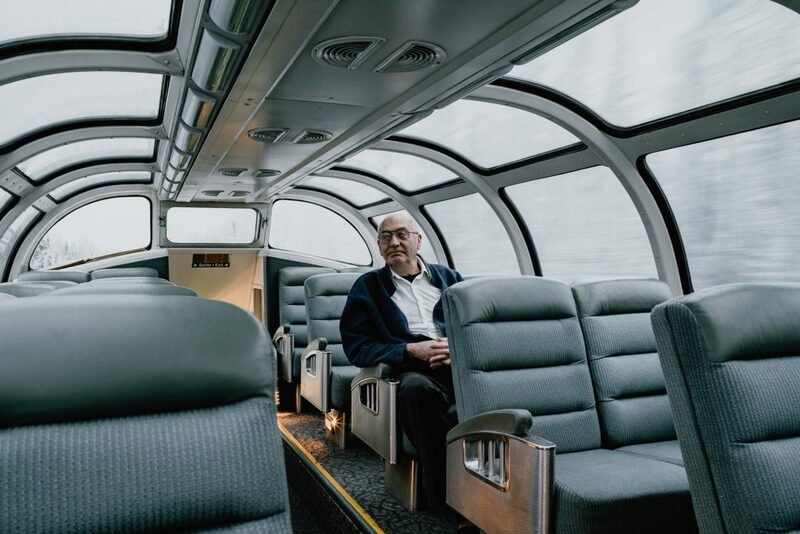 Inside the first Via Rail service in 18 months to make the iconic trip between Winnipeg and Churchill, Man. 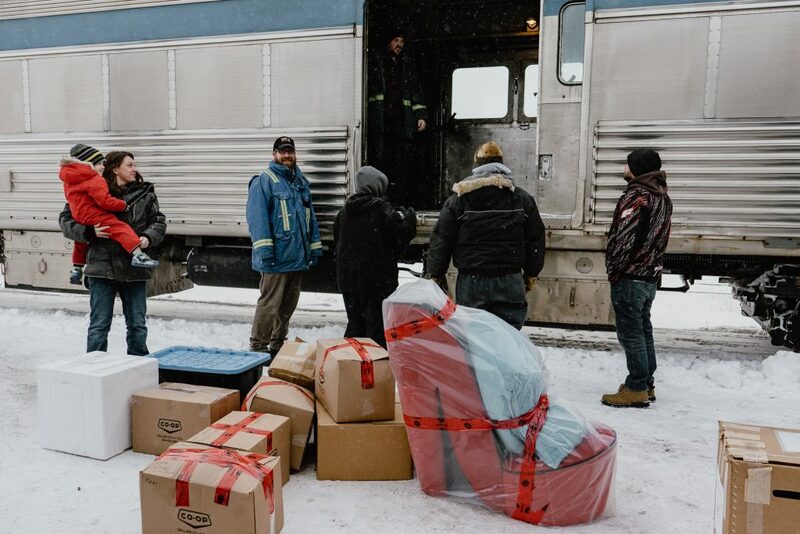 There aren’t many 44-hour journeys that will put a smile on people’s faces, but when Via Rail train 692 finally pulled into Churchill, Man., on Dec. 4 — 18 months after flooding cut off the only land link to the community on the shore of Hudson Bay — that was the result. 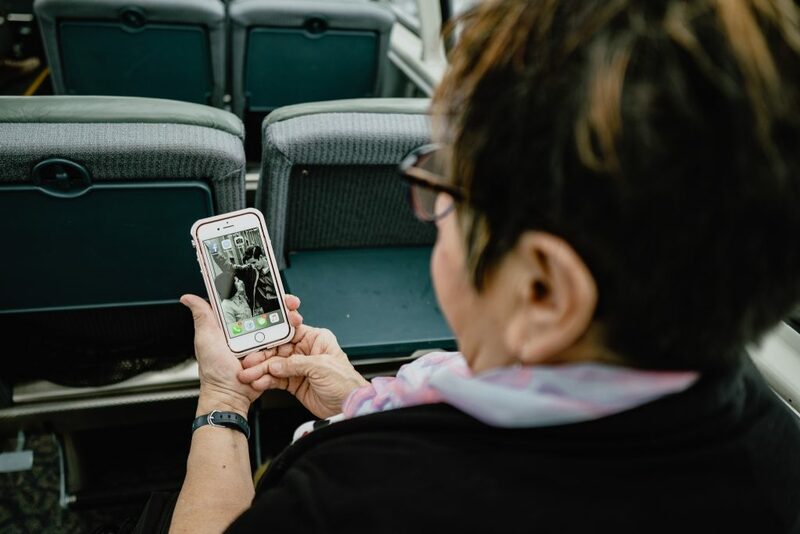 Canadian Geographic Travel sent Winnipeg-based photographer April Carandang to document the 1,700-kilometre trip and what it means to the people who made it. 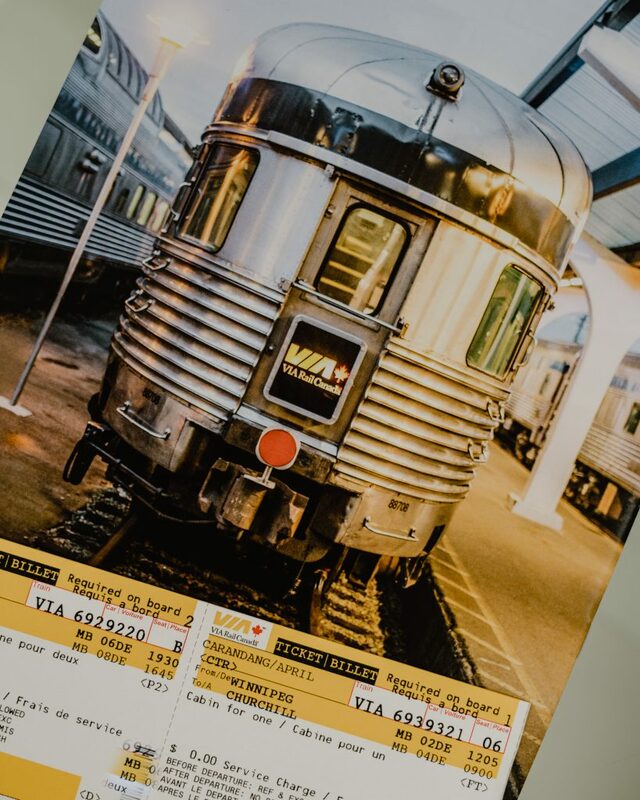 April Carandang’s Via Rail ticket for the journey from Winnipeg to Churchill. The train left Winnipeg on the afternoon of Dec. 2, 2018, marking the resumption of a service that had been suspended since 2017 after severe flooding washed out parts of the track. Ron Grapentine (above right) chats with a reporter in the Winnipeg train station prior to boarding the train to Churchill. 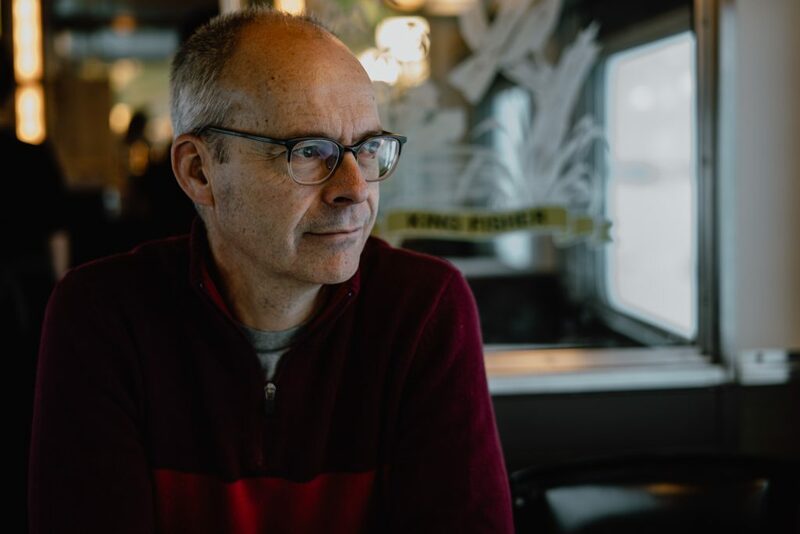 Grapentine, a retired rail worker, said he was excited about the reestablishment of the connection between Manitoba’s capital and Churchill. 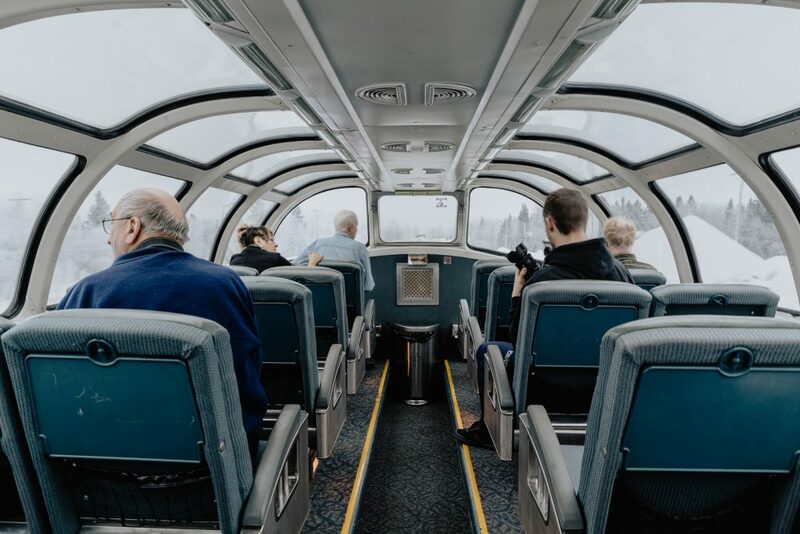 Passengers settle into the Skyline dome car to take in the views during the trip to Churchill (above). The dome’s windows are made of multi-layered laminated glass and are about 20 times stronger than a car windshield. Just about the only thing that’s going to get through them is sunshine, which has lulled more than one passenger into committing a cardinal sin of travel on Via Rail: falling asleep in a dome car seat. 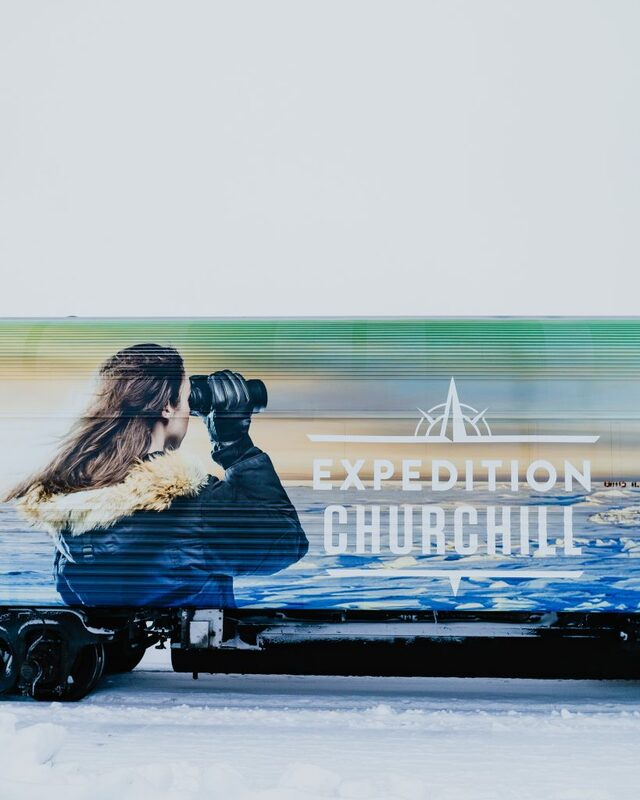 The exterior of the route’s newly designed dining car (above), which is part of Expedition Churchill: A Gateway to Arctic Research, an interactive project that highlights the Arctic research that happens in Churchill and the Hudson Bay region. 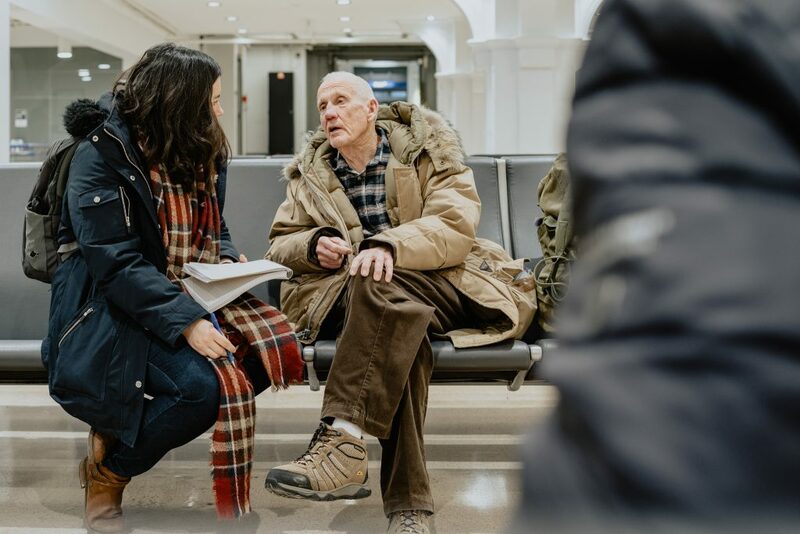 Colleen Smook (above, holding paper), the mayor of Thompson, Man., talks to passengers in the city’s train station as they wait to board the train to Churchill. Smook is delighted that the route is back in operation. 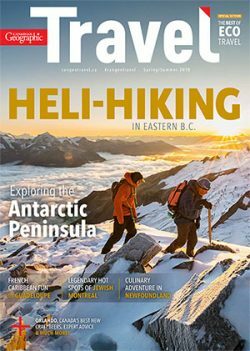 “The economic impact of the train service benefits Churchill and Thompson,” she said, adding that tourists often will fly to Thompson then take the train to Churchill. 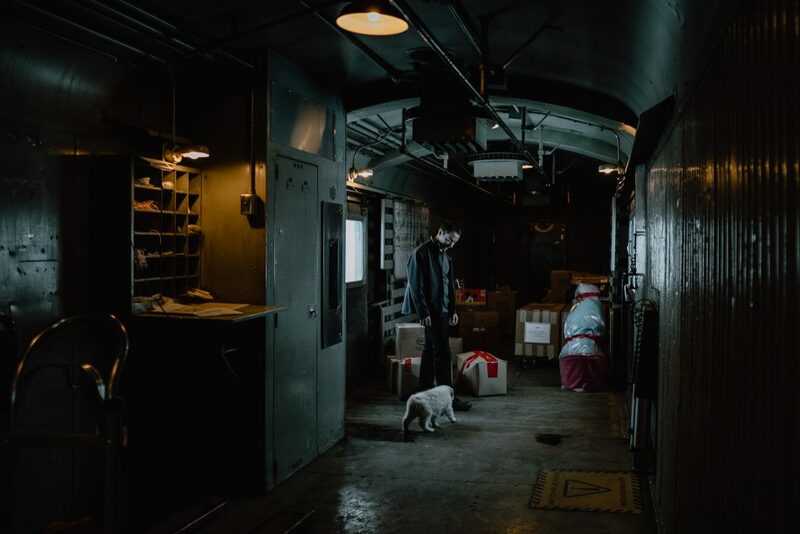 Denis Devigne, an onboard service attendant with Via Rail, watches as a puppy walks around the cargo car after being let out of its crate (above). Devigne picks up the puppy in attempt to get it to pose for a picture (above). “It’s exciting,” he said of the journey to Churchill. “We’re connecting communities that didn’t really have easy access to each other. 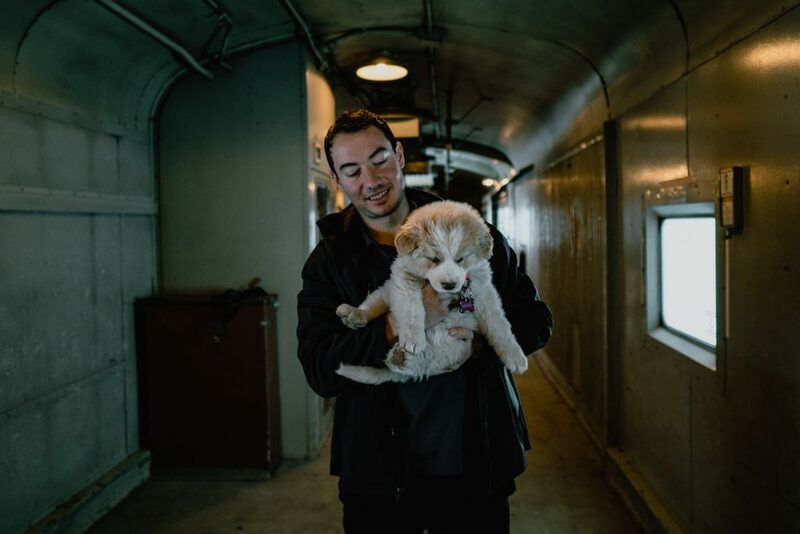 Now that the train is running again, people can visit their families and get the services and goods that they need.” And puppies, of course. Passengers and locals crowd the platform at the Churchill train station after the train arrives on the afternoon of Dec. 4 (above). 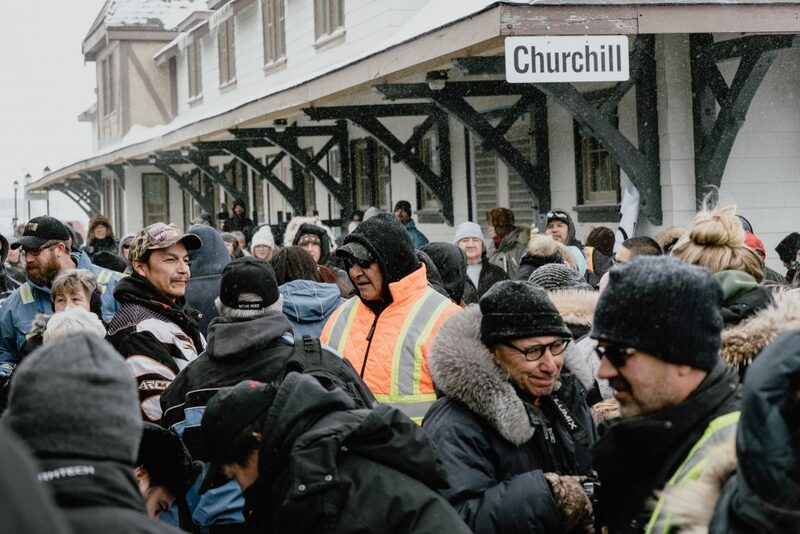 Residents of Churchill came to the station to see the train, welcoming its crew and passengers with cheers and bells. Passengers and train station staff watch as goods and cargo — including a chair in the shape of a high-heeled shoe — are unloaded from the train in Churchill (above). 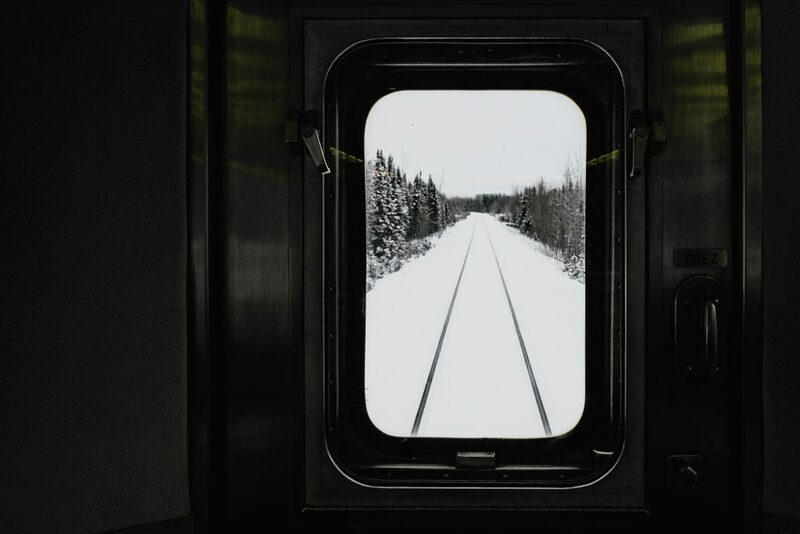 With the service between Winnipeg and Churchill running again, anyone can send cargo via the rail link — a considerably cheaper option than having items flown into and out of town. 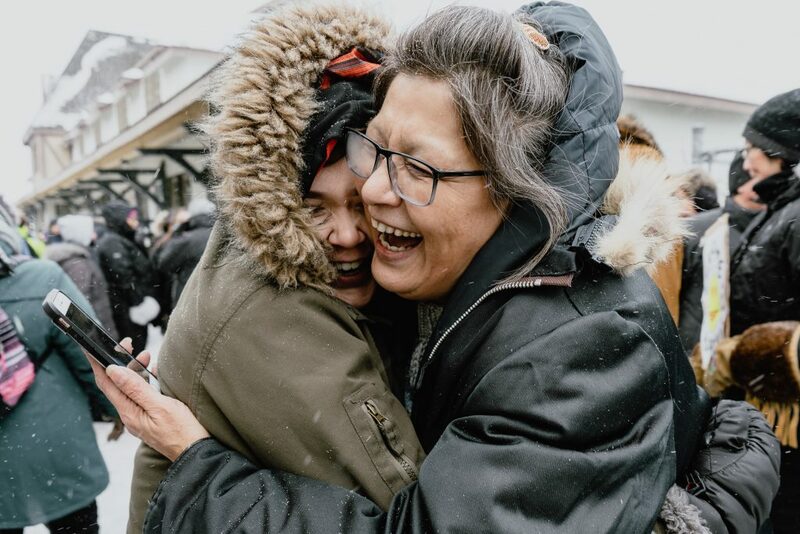 Lena Spence-Hanson (above right) hugs one of her family members on the platform at the Churchill train station.